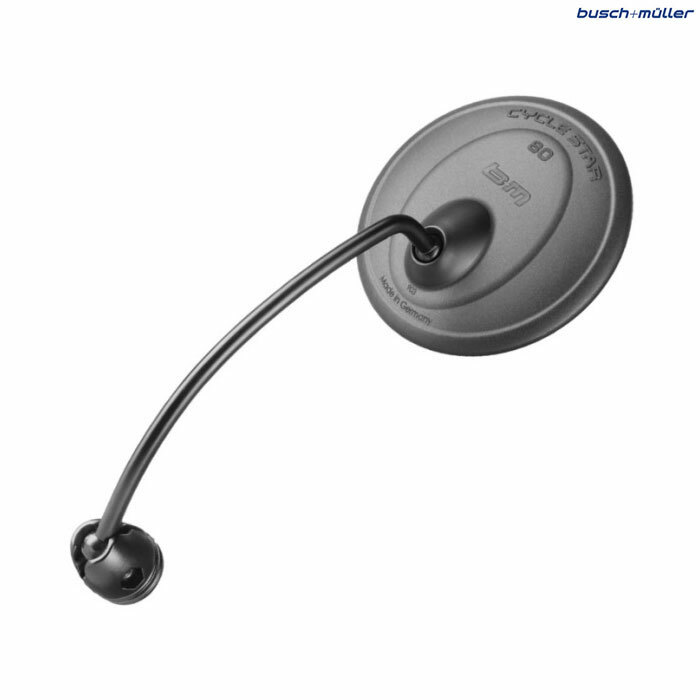 The new upgraded rear view mirror from Busch & Muller with a larger lens for enhanced vision. The design is unique and very functional offering a very large field of vision. The mirror is very easy to fit with plenty of adjustment for perfect alignment. It is supplied with both bar end fit and jubilee clip for the handlebars. Is this made of metal or plastic? In particular the piece that holds the mirror. The mirror host is plastic, the arm and bar mount are metal. Hi, The Cycle Star 80 is 140mm , the Standard is 200mm. Both measured clip / mounting to mirror centre. How Much Is The Delivery Cost (Uk) For This?